The original Spendor SA1 was launched just before the BBC LS3/5a surfaced back in the early nineteen seventies, and many thought it was a better sounding loudspeaker than its more popular rival. But the SA1 you see here is a distant cousin, and has evolved a lot since then. Only its dimensions (305x165x190mm) are shared – which coincidentally are exactly the same as the LS3/5a, but rotated through ninety degrees – along with the use of an infinite baffle cabinet design. This, the last of the SA1 line went on sale in the UK in 2009 for £1,100, and was commonly sold in an attractive Zebrano finish [pictured]. Spendor’s Philip Swift said at the time that the use of an infinite baffle was partly to maintain purity of timing, but also to make it more useable as little boxes go – you could, for example, ram it right up close to a rear wall. It used a new 150mm Spendor mid/bass unit with magnesium alloy chassis, complete with the company’s favoured ep38 polymer cone material and an advanced surround with large excursion motor system. The matching 22mm wide-surround tweeter crossed over at 4.8kHz, via a network of high grade passive components and gold plated conductors. Internal cables were silver-plated copper with halogen-free dielectric, single wired to WBT binding posts. Structurally, the SA1 continued Spendor’s thin-wall damped panel design – the idea being that thick, chunky cabinet walls store energy and sully the sound. The cabinets were rigidly braced, and constructed using three different panel thicknesses, making their different resonant frequencies have less of a cumulative effect. The upshot is that the 5.4kg cabinet feels quite unusual; when you hit it with your knuckles, instead of a long-decaying ‘thunk’, it’s more like a short, sharp ‘click’. The cabinet came in a range of veneers and lacquers, including zebrano high gloss, classic jet black piano lacquer and a rich deep brown satin wenge. Matching 600m high stands were available, made of light wood (4.1kg) with matching veneer inset, for £400. With a quoted sensitivity of 85dB (1W at 1 metre), you’ll need a powerful amplifier to get the best out of this baby box – think at least 60W RMS per channel, so valve amplifier users should look elsewhere. Suitably aspirated and pushed hard against a rear wall, the Spendor SA1 is a highly enjoyable listen. Being a small sealed box, you are never going to get significant bass from these loudspeakers, and this lightness in the lowest frequencies is one of their defining characteristics, along with speed. These little Spendors have a compellingly snappy sound, and one which is brilliantly integrated right through the frequency range. This means that the bass, mid and treble all stop and start together, as one. Despite being tonally quite warm and smooth, the SA1 throws out lots of detail, which is all very well syncopated. It sports a light but taut and fluid bass, with a fairly delicate midband that proffers fine insight into rhythms. Treble is impressively refined and smooth, yet conveys a good deal of atmosphere. Soundstaging is way better than expected from a small box – the space around instruments is excellent, with the speakers dissolving into the room and pushing out an expansive stereo soundfield left to right. No one could seriously recommend a very small box with noticeably limited low frequencies and a thirst for power as a universal panacea for anyone seeking an £1,100 speaker – but if you’re looking for a spry, crisp and fast rendition of the music, then this does the job brilliantly. It’s great if space is at a premium, but even if not then it’s still a fantastic loudspeaker. 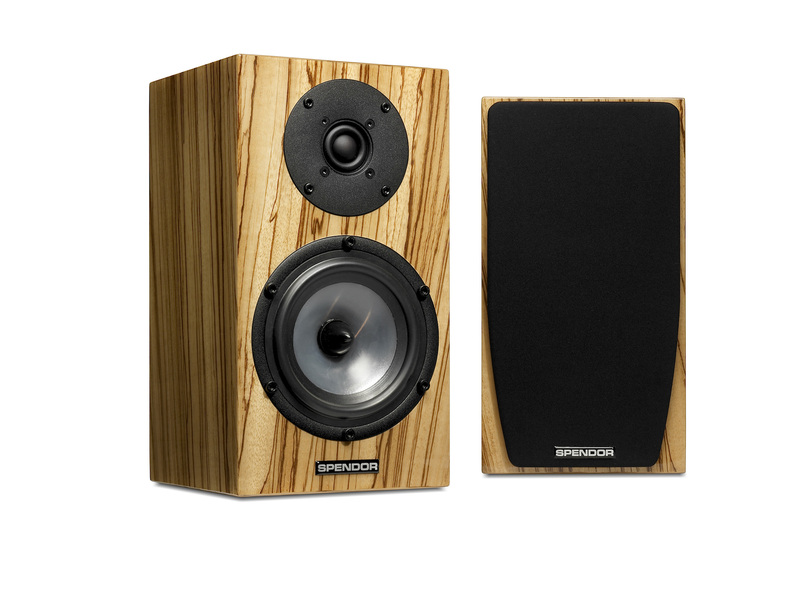 For my money, until the arrival of the slightly more expensive £1,795 Spendor D1 in 2014, it was one of the best mini-monitors made – and worlds ahead of any variant of the LS3/5a.